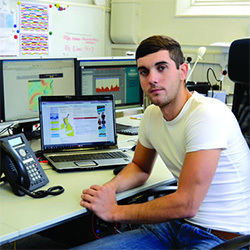 During Autumn 2013 four new recruits have joined the expanding team operating the Sheringham Shoal Offshore Wind Farm. Four new positions have been created as part of the planned organisation strategy to support the efficient maintenance and safe operation of the plant. Friday 27th September 2013 marks the first anniversary of the official opening ceremony of the Sheringham Shoal Offshore Wind Farm. Exactly one year ago Norfolk's majestic Holkham Hall was the setting for the official opening of this 317 MW renewable energy power plant. Statkraft will take over responsibility as Operation and Maintenance (O&M) operator of Sheringham Shoal Offshore Wind Farm in January 2014. The current operator, Scira Offshore Energy Ltd, will remain as the legal entity while employees will be transferred to Statkraft. The joint venture company is owned 50/50 by Statkraft and Statoil. 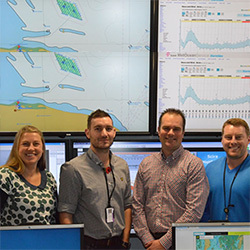 Scira Offshore Energy, the operator of the 88 turbine Sheringham Shoal Offshore Wind Farm, today announced the appointment of their new Power Plant Manager, Jason Halsey. Jason will succeed Einar Strømsvâg who will return to Stavanger to take on new challenges in parent company Statoil, after his successful 4 year secondment to Scira. 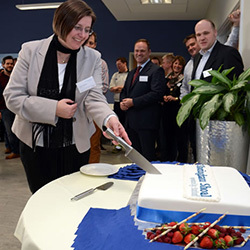 A formal celebration on Friday 19th April 2013 marked Scira Offshore Energy's move from the 'Prepare for Operations' stage of the Sheringham Shoal Wind Farm to its long term 'Operation and Maintenance' stage. 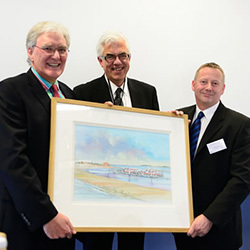 Norman Lamb, the MP for North Norfolk and Minister of State at the Department of Health, formally opened Wind Farm Place, the purpose-built Operation and Maintenance base, which Scira moved into in February. 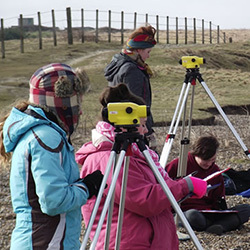 Fakenham College has received sponsorship from Scira Offshore Energy for the purchase of survey equipment for the use by A Level Geography students in studying coastal processes and landforms on the north Norfolk coast. The final piece of the jigsaw of the Sheringham Shoal Offshore Windfarm has been put in place with Scira Offshore Energy's [Scira] move to a purpose-built Operation and Maintenance [O&M] base at Wind Farm Place in Egmere near Walsingham on 4th February 2013. 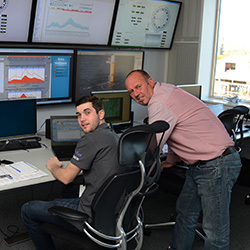 Now that the transition from construction to operation of the Sheringham Shoal Wind Farm has been successfully achieved, Scira Offshore Energy is seeking to expand its maintenance team. Advertisements for a Trainee Mechanical Engineer will appear in the local media w/c 21 January 2013. 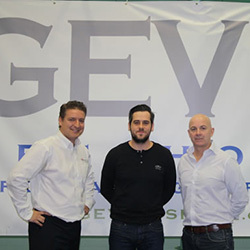 Scira Offshore Energy has awarded a new contract for the provision of a range of support services for its £1bn Sheringham Shoal Offshore Wind Farm off the coast of North Norfolk, to a local energy services company GEV Offshore Limited. 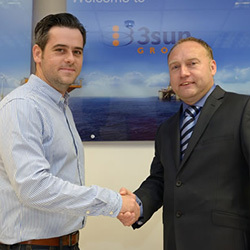 Norfolk based wind farm operator Scira Offshore Energy has confirmed the award of a three year contract effective 1 January 2013 for operational services for Sheringham Shoal Offshore Wind Farm to Great Yarmouth-based company, 3sun Group. 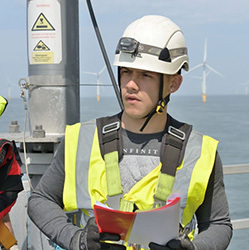 Norfolk based wind farm operator Scira Offshore Energy has employed its first trainee and now begins the search for its second as Scira prepares to take over the full operation of the 88 turbine Sheringham Shoal Offshore Wind Farm now that construction is virtually complete.